Our decorative patterned privacy window films are easy to install and self-adhesive, it can give the appearance of patterned glass to windows and doors. 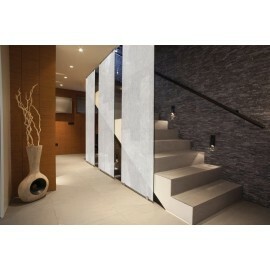 Excellent for privacy and to block out any unsightly views or just to refresh your home’s interior. There are many window film designs, and they will work on most glass surfaces including double glazing, they can be used anywhere from the home to office. 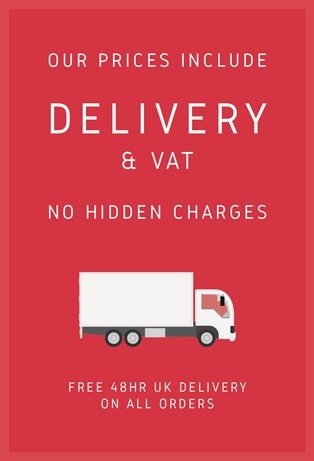 These products come with full fitting instructions and are sold per metre with free UK shipping. Frosted / Decorative There are 78 products. 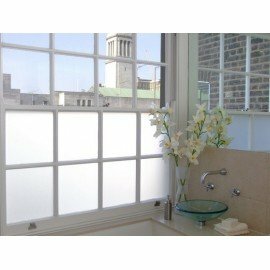 Our Classic Plain frosted films offer a range of privacy options. They are incredibly versatile and are fantastic in domestic and professional settings. From a subtle suggestion of space division to 100% blackout, you will find the film to suit your needs in this range. 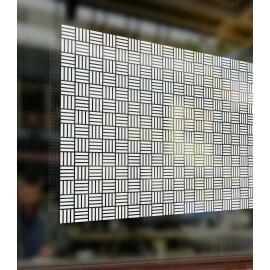 Use this self adhesive film as an alternative to blinds, net curtains or expensive frosted glass. Our selection of horizontal line patterns provides a wide choice of sleek designs that will transform any dull space. Whether it's dividing work areas or embellishing a glass balcony, we have stripes to suit any mood. These films can be utilised to create a decorative component to plain glass and are an important safety feature to ensure glass walls are visible. This wonderful assortment of designs are perfect to add a decorative touch to glass Surfaces. Choose from a range of nature inspired films to fill your space with beauty and serenity. These films can be used to bring an outdoor feel to a stuffy office or to enhance an intimate home space. 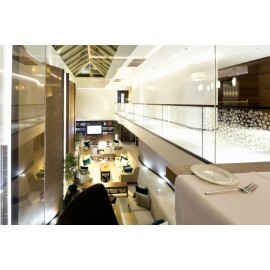 These exciting contemporary designs will modernise out-dated spaces with ease. All of our films are of the highest quality and are available in a range of sizes to suit your needs. For either privacy or decorative purposes, we have a custom solution for privacy window films and gradient glass tinting effects. 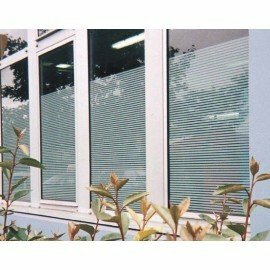 This is a must and a Legal requirement for all public buildings and glass partitions, 'Regulation 14 the Workplace Health and Safety Act 1992' that every window or translucent service, must be marked and clearly identifiable, to prevent members of the public being injured from accidently walking into glass. They are designed to highlight glazed areas to comply with building regulations, helping to avoid the risk of collision. Can be fitted by any member of staff, no experience necessary, simply peel, stick and rub over with a plastic hard card. Know you need window film, but can’t decide on a pattern or style? need some inspiration? View our entire collection, it may take a little time, but you won’t regret it, we have the largest range of fabulous window film designs.